This is the chord progression of the song and the guitar accompaniment seen in the video. Note that the last note at the end of every measure anticipates the next chord. 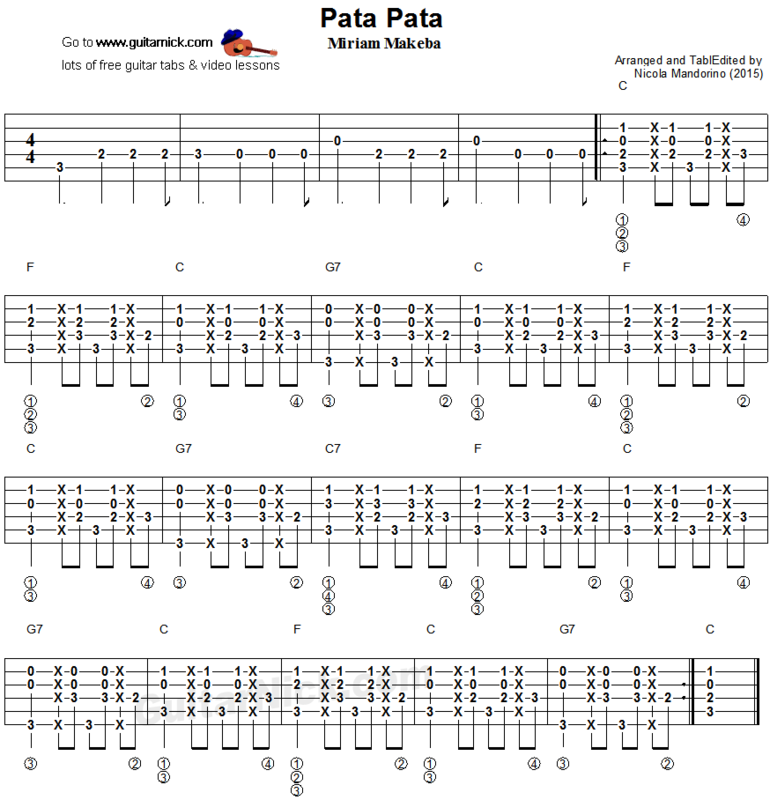 Free guitar tablature and video tutorial.